Under the burning High Noon sun, unexpected events send the gunmen scurrying for cover in a ghost town. While in the bison town of Dodge City, new gunmen compete with the old, using new tricks and unknown techniques. When the going gets tough, the tough put it all on the line, putting up A Fistful of Cards and going for broke. If that weren’t enough, even stranger gunmen emerge from their secret hideouts! Now the Sheriff has decided to settle things once and for all in his own way. He has written a name on a single bullet. That name is... BANG! 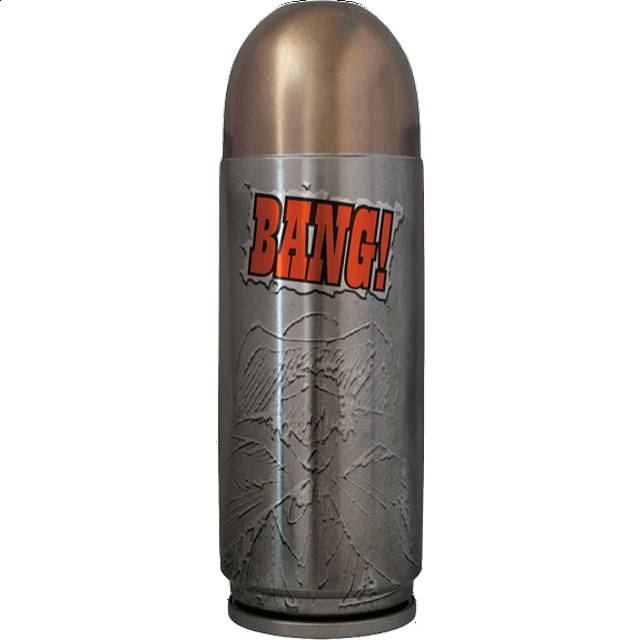 This special edition in a bullet-shaped metal box includes every BANG! card published to date, and a few new extras! a shiny new sheriff's badge!